State Department officials released 1,250 pages of Hillary Clinton's deleted emails Thursday afternoon. The emails are mostly between Clinton and Huma Abedin. Two emails sent to Abedin for printing in August 2009 show the role played by Costa Rican president Oscar Arias in the US-backed regime change operation in Honduras. Another email from Sidney Blumenthal features strategies and predictions on China. “China is not inherently a stable nation but is riven by profound ethnic/language/regional divisions as well as yawning economic and social inequalities growing greater by the day with a vast majority of billions not sharing the benefits of its brand of turbo-charged, despotic authoritarian Communist/capitalism,” Sid Blumenthal wrote to Clinton in November 2009, while forwarding two New York Times columns from “center-left” Paul Krugman and “center-right” Niall Ferguson. In an email from April 2009, Cheryl Mills, Clinton's chief of staff, alerts her to a data breach at the National Archives where they can't account for a 2 terabyte hard drive containing electronic records from the Clinton administration which they had on January 30 but was missing on March 24. "They believe it was stolen. NARA has an identical copy of the drive, which it is analyzing." The two terabytes was noted as probably containing a wide range of memos, emails, and other electronic documents from the Clinton White House. While the material was unclassified, except for three documents "which Bill Learly has examined and does not believe present any significant risk." Another email shows Chelsea Clinton petitioned her mother to help her secure a visa for an unnamed “friend” in Long in January 2012 to travel to US for a consulting job. "I was actually on the phone with my friend... who is distraught about his current visa conundrum (ie talking about something firmly in your world! )," Chelsea Clinton wrote to her mother, Huma Abedin and Cheryl Mills, two of Hillary Clinton's closest aides. She said her friend had been rejected by the consulate due to a "miscommunication," and asked if any of the three could "help" him. Another email shows Hillary Clinton and a senior aide discussing how to send a secure cell phone using FedEx or a personal courier and involves the scandal plagued former Congressman Anthony Weiner. “OK I will (redacted) just fedex secure cell phone from dc. Anthony leaving office to bring me to airport now so hopefully will make it just in time,” Abedin writes on August 2, 2010. “Maybe one of Anthony’s trusted staff could deliver secure phone?” Clinton responds four hours later. The latest batch released on Thursday will be one of the final batches before voters go the polls on Tuesday. 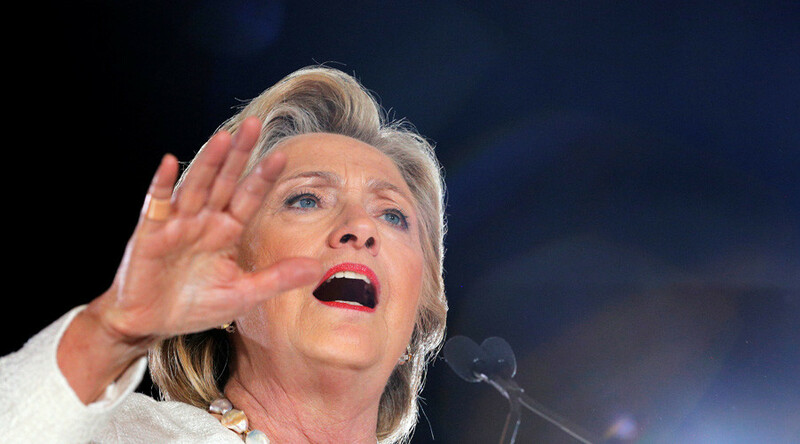 The emails, some of which were previously released by the State Department, and also by Wikileaks, were uncovered by the Federal Bureau of Investigation’s year-long probe into the private server of Democratic presidential nominee Hillary Clinton when she served as Secretary of State. The emails were subsequently turned over to the State Department. The release comes as a result of several Freedom of Information Act lawsuits filed by the conservative legal watchdog group Judicial Watch and VICE News journalist Jason Leopold, seeking information about the former secretary of State's tenure in office. An additional 350 pages are scheduled to be released Friday.